Wed., Aug. 9, 2017, 2:40 p.m.
RENTON, Wash. – Even though he’s now a professional, Shaquill Griffin is still receiving an intense education. 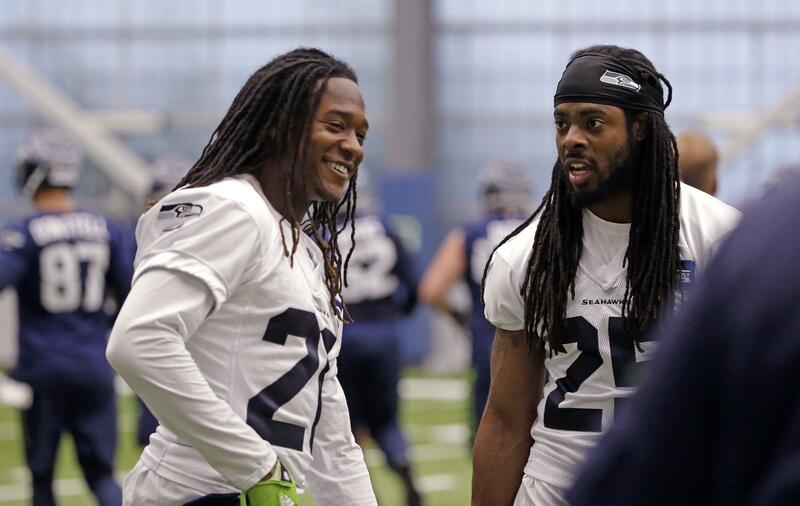 And in this scenario, Richard Sherman is one of the primary instructors. There are very few questions surrounding the starters for the Seattle Seahawks when the season begins Sept. 10 at Green Bay. The cornerback opposite Sherman, though, is one of those and perhaps the most important to answer in the weeks leading up to the regular season. It became an issue when starter DeShawn Shead suffered a torn ACL in his left knee during Seattle’s playoff loss to Atlanta. Shead needed a small follow-up procedure that delayed his return even further. Enter the rookie Griffin, Seattle’s third-round selection out of Central Florida, who is competing with veteran Jeremy Lane for the starting role opposite Sherman. Griffin was a priority pick for the Seahawks. There were other options Seattle could have taken earlier in the draft, but the Seahawks liked Griffin’s mix of size at 6-feet and speed. For all the certainty in Seattle’s standout secondary, the spot opposite Sherman has proven troubling since Byron Maxwell left as a free agent following the 2014 season. Cary Williams was brought in for the 2015 season, only to be benched and eventually cut later. Shead, a converted safety, was more than adequate last season while regularly getting picked on as teams avoided Sherman, but his knee injury altered Seattle’s plans. Lane is experienced and coach Pete Carroll has noted an improved maturity going into his sixth season. But Lane has proven most effective working as a slot cornerback in nickel packages, meaning Seattle needs a solution on the outside – at least in obvious passing situations. And while Neiko Thorpe and DeAndre Elliott have shown potential, Griffin seems to be generating the most excitement. The biggest technique for Griffin to learn is Seattle’s step-kick style of press coverage at the line of scrimmage. The goal there is to avoid having to play chase with a wide receiver by being patient at the line of scrimmage and making sure to move the feet first before using hands. It’s not easy, as evidenced by the number of cornerbacks that have struggled in Seattle’s system. Because Seattle knows what is has with Lane, it’s expected Griffin will get significant playing time early in the preseason, beginning with Sunday’s opener against the Los Angeles Chargers. NOTES: OL Germain Ifedi returned to full participation in practice Wednesday for the first time since being punched in the face by teammate Frank Clark during a skirmish last week. Clark also practiced but on a limited basis as he deals with a sore knee. … The Seahawks signed S Jordan Simone and DT Greg Milhouse to fill two open spots on their 90-man roster. Published: Aug. 9, 2017, 2:40 p.m.